Need a little inspiration? How about a new necklace? Check out these pretty necklaces I found Jane. 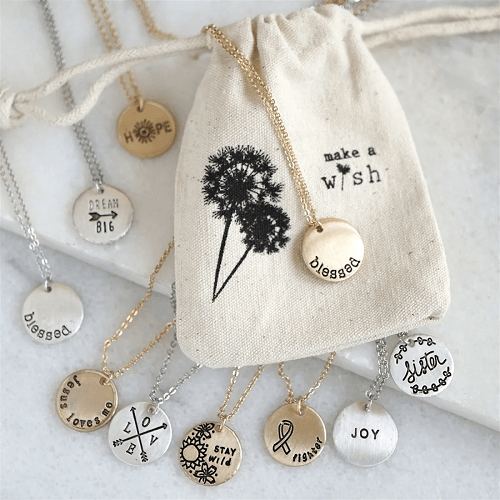 They have these Stamped Inspiration Necklaces for $6.99! Plus they are offering to ship them for FREE! These would be cute to give as a gift too. They have 30 different ones to choose from.